Pureology haircare utilizes the most advanced new ingredient technology to give your hair unprecedented color retention to keep your most important accessory looking glorious much longer than ever before. 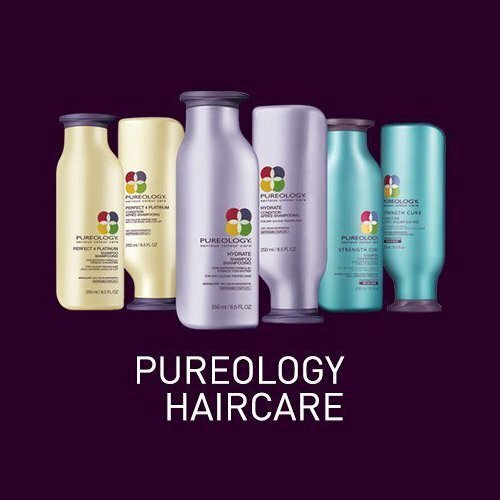 The Pureology collection leaves your hair exuberantly healthy, richly moisturized and brilliant! Pureology is the first and only prestige hair care line for color treated hair that offers Longer Lasting Hair Color. Made from only the finest proprietary ingredient technology, you can see and feel the difference with Pureology instantly. Pureology products extend hair color life and dramatically improve hair condition.